As a UNESCO World Heritage Site, some areas of the Loire Valley, as one might expect, carry a hefty market price – and Indre-et-Loire is no exception. That said, the practice of snapping up bargains is becoming more and more popular, especially for those looking to cash in on restoration and other commercial projects. And with a growing number of French chateaux for sale in the area, coupled with the high volumes of seasonal tourism, period property is quickly becoming a much more attractive prospect. Located in the province of Touraine, Indre-et-Loire is so called due to the tributary river Indre that flows into the famous Loire. Arguably less well known than some of the other Touraine chateaux, Indre-et-Loire boasts some prime examples of the regions architecturally rich heritage. 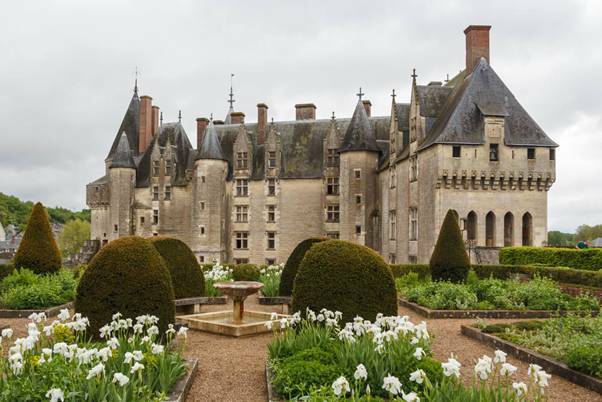 In tribute, we have put the spotlight on three of the most beautiful and standout chateaux within Indre-et-Loire. From Iron Age beginnings to the artistic revolutions of 14th century Europe and beyond, these buildings offer an insight into the history and sub-culture of this prosperous French province. 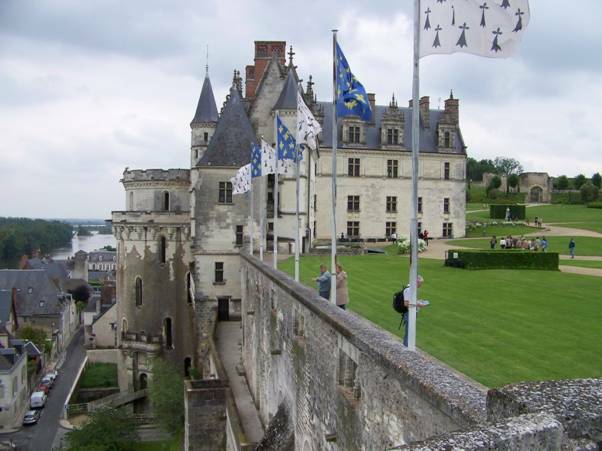 The history of Chateau-Amboise goes back to the time of the Gauls, who built a fortress on the cliff overlooking the Loire River and its valley. The Romans then replaced the original fortress with a fortified camp. They also built a bridge to cross the river and charged a toll for those wishing to use it to transport goods. During the 11th century, the fortress belonged to the Count of Amboise and it remained in the Amboise family until it was seized by Charles VII in 1422. His son Louis XI rebuilt the castle and then Louis’ son Charles VIII discovered the Italian Renaissance in the 1490s. He ordered a series of alterations inspired by the refined elegance of the new style. Because of this many consider Chateau-Amboise to be a perfect representation of early Renaissance architecture. Its beautiful landscape gardens were commissioned by Charles VIII and are mostly the work of a Neapolitan monk and gardener. Green oak trees, bay trees, cypresses, box trees and hornbeams adorn these gardens and offer a truly breath-taking view of the Loire River. In addition to the Gothic wing which looks out on to the Loire, there is a separate chapel on the grounds. 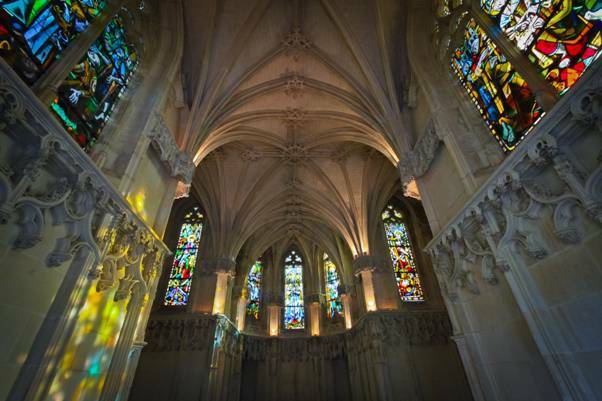 Built sometime after 1490, the building has an intricate stonework interior and a number of colourful stain glass windows. 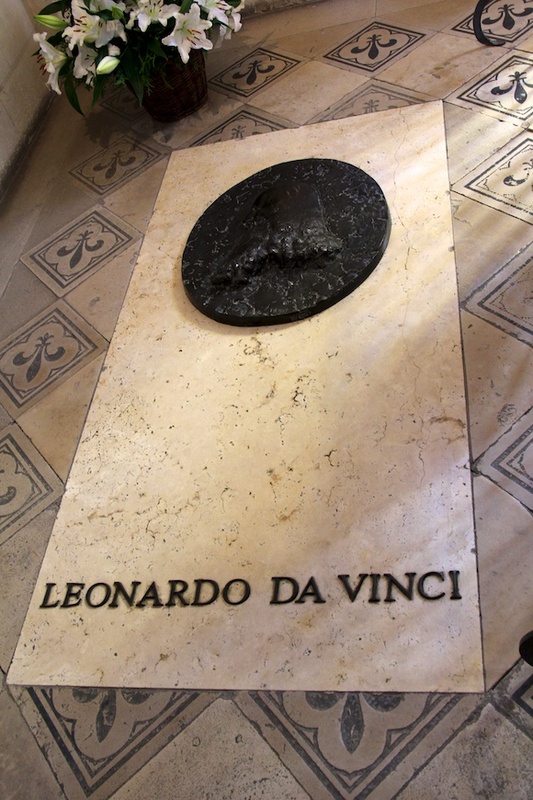 Interestingly, the chapel is also the final resting place of Leonardo da Vinci and has a plaque to commemorate the great artist’s life. Today, Amboise remains one of the most popular holiday destinations in the Valley with daily tours and events charting notable periods of local history. Naturally, most of the chateaux within the Loire Valley are major tourist attractions, particularly in the summer months, but perhaps none more so than the imposing, fortress like Chateau de Langeais. Built on the foundations of a medieval castle, Louis XI commissioned the rebuilding of Chateau de Langeais in 1465 with Italian inspired culture typical of that found in Europe at the turn of the 15th and 16th centuries. Today, its façade has all the character and presence of the castle as it once was: drawbridge, large towers, battlements and ramparts. Yet it is no longer a fortress. From the 16th century onwards, the chateau changed hands frequently and began to fall into disrepair. Businessman and lover of art from the Middle Ages, Jacques Siegfried, bought the property in 1886 and spent 20 years of his life restoring it. Siegfried gave the chateau and its huge art collection to the Institut de France, which still owns it today. In 2005, the Institut put Kleber Rossillon in charge of Chateau-Laneais. Rossillon now devotes much of his time to enhancing and preserving its heritage. 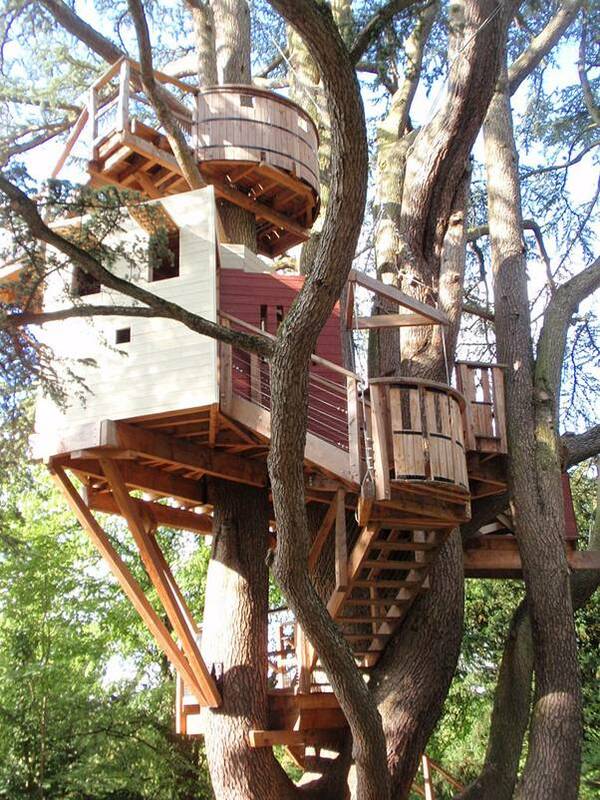 The grounds of Chateau de Langeais include a tree house and a playground for both children and adults. The tree house has six levels built into a majestic cedar that is hundreds of years old. The cabin itself offers spectacular views of the park and the remains of an 11th century chapel. There is a gazebo offering panoramic views which you will find at the end of a long walk through redwood and cedars. Should you venture a little further, you will also stumble across the many vineyards surrounding the grounds that offer some of the finest Touraine wine. A real jewel of the chateaux Indre-et-Loire, the neo-Gothic style of this building portrays a unique, Disney fantasy look. 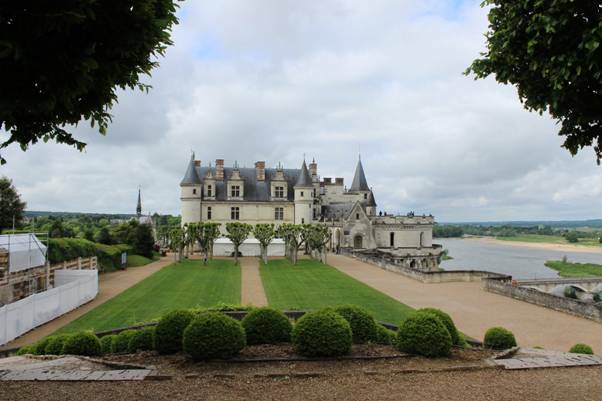 In addition, its links with the British Royal family enhance a rich history that is arguably unmatched by any other chateau in the Loire Valley. The mayor of tours and state treasurer, François Briçonnet, purchased land in the commune of Monts 1499. He then set about building a Renaissance house on the site of the old fortress. Briçonnet died before he could finish the building. It was his daughter, Jeanne, who oversaw its completion in 1508. The estate consisted of a chateau-fort, drawbridge, ditches, barns, gardens, vines, orchards and enclosed walls, among many other things. It wasn’t until 1853 that the chateau or its grounds underwent any major transformation. At this time, then owner Santiago Drake del Castillo commissioned the addition of a northern wing, again in the neo-Gothic style so typical of that period; thus tripling the amount of living space. 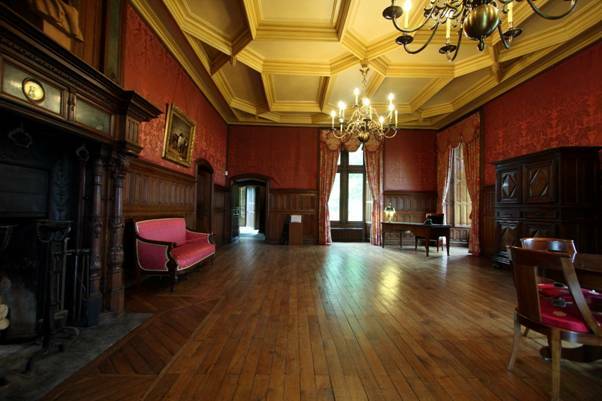 As these images show, the library is typical of the size and majesty of the property, with fine wooden clad floors and ceilings, while the maroon themed reception area, adequately known as the ‘Red Sitting Room’, reflects the buildings roots form the Tudor era – especially the cross-weave ceiling rafters. 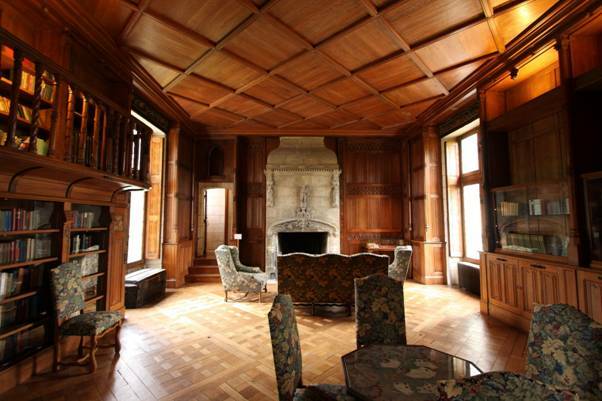 In 1927, billionaire Charles Bedaux acquired the chateau. He set about modernising the building by installing a telephone and running water. The property is also well-known for the fact that the Duke of Windsor married Wallis Simpson here in 1937. In fact, its reported the couple used come here often to escape the intense glare of the media following the Duke’s abdication and their rather controversial marriage! 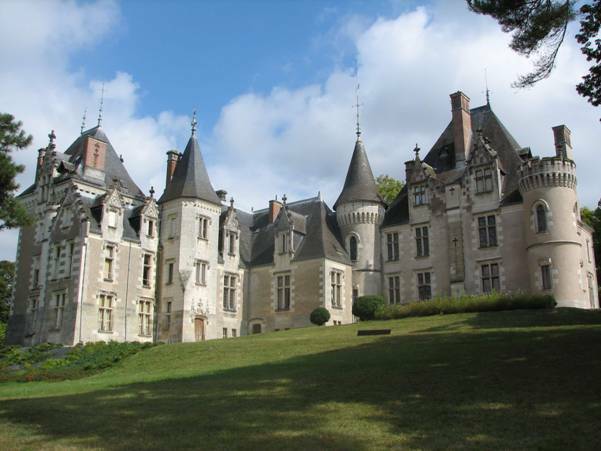 Dream of owning your own Chateau? 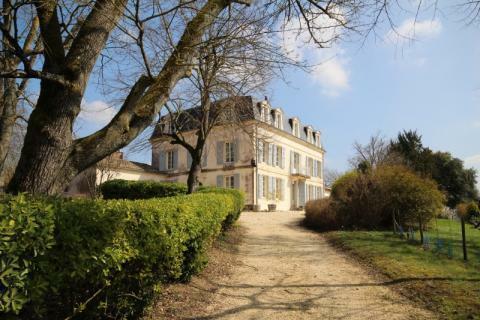 Or browse through all our Chateaux for sale in France.